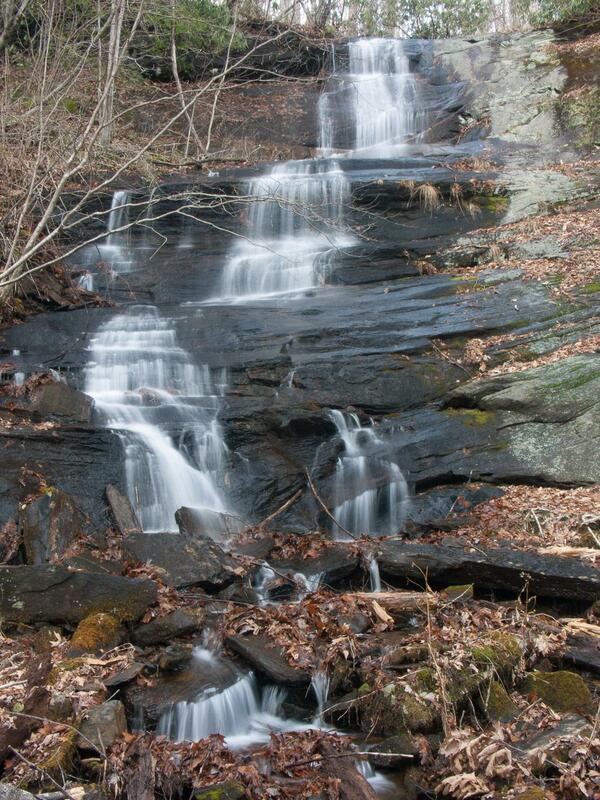 A steep cascade near the top turns into a series of shallower cascades near the bottom. It looks very nice, but only in winter after some good rains, since it's on a small stream and overhanging branches will obscure the view in summer. Take the Barnett Branch trail uphill (northwest) toward the Buck Spring trail for about 0.3 mi to the falls on the left, at a right-hand switchback. A short side path leads directly to the base of the falls.